We offer a wide selection of bulk-packed foods, snacks, candy and ingredients. By purchasing in bulk and repacking these items for our shelves, we are usually able to offer significant discounts compared with retailers that only offer "retail" or "consumer" packaged food items. 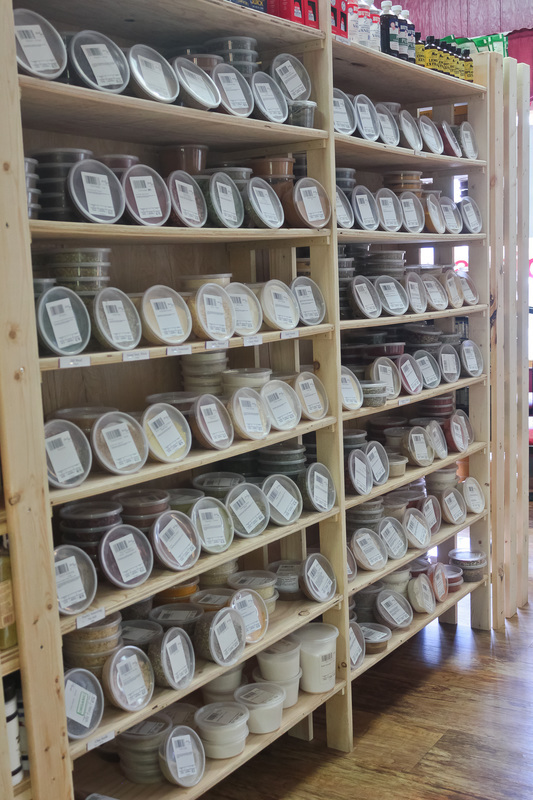 Our selection includes many different kinds of spices, including some of which we have been told that "Nobody else in the area sells this!" 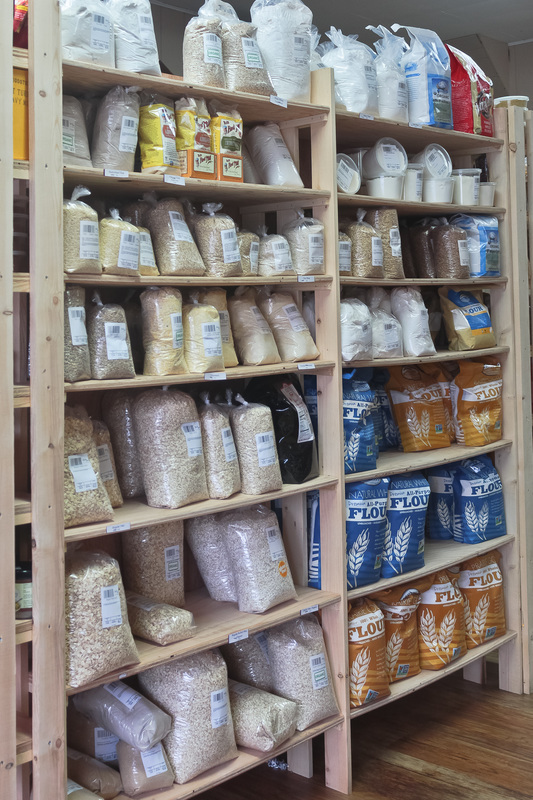 We also have several kinds of specialty grains and flours in this format, which are often not available in the average grocery store. 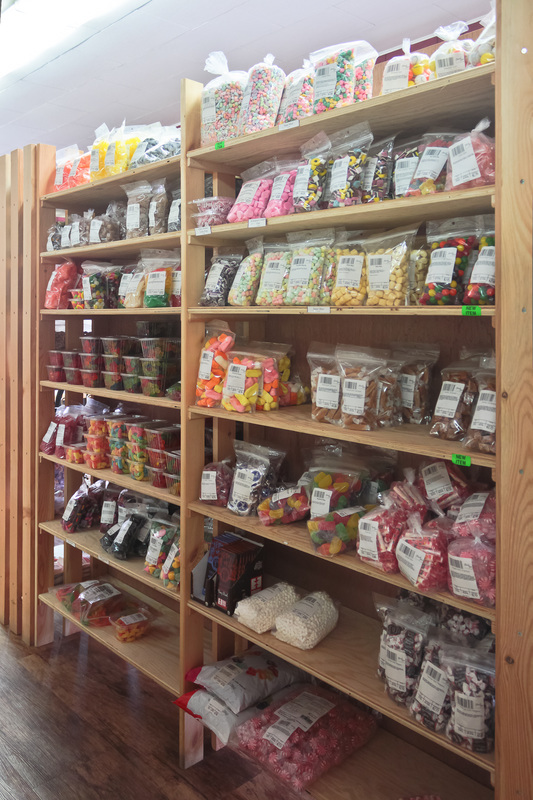 We also feature shelves of candy, snacks, and dried fruit. These include Albanese Gummy candies and Chocolate covered nuts, fruits, etc., as well as sesame sticks, trail mixes, and much more. 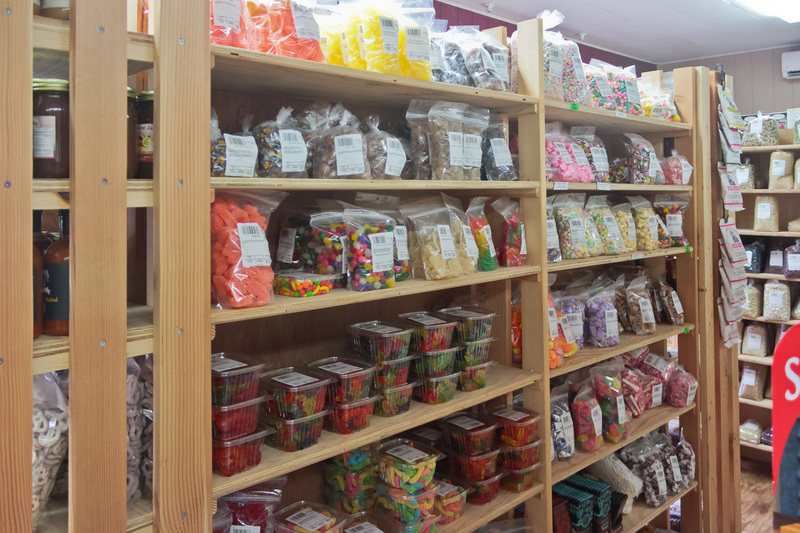 We stock a wide variety of bulk-packed candy. These include gummy bears, rings, worms, and butterflies from Albanese, a well-respected candy manufacturer based in the midwestern US. 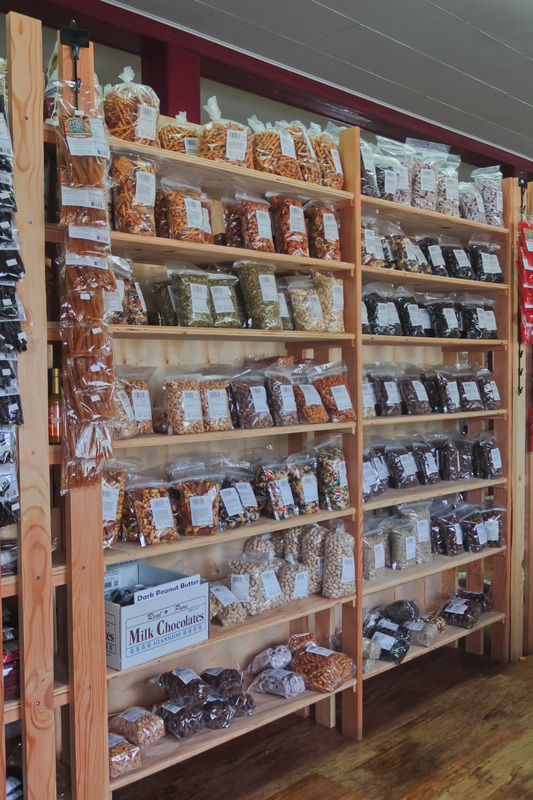 We also have a wide selection of chocolate covered candy, such as coffee beans, almonds, peanuts, raisins, dried cranberries, and more. We also offer hard candy such as "sanded" ginger, lemon, and licorice drops. From dark rye flour to organic evaporated cane juice, from certified gluten-free oatmeal to Dutch Jel, we keep a large selection of baking and cooking ingredients available for your home-cooked delicacies. 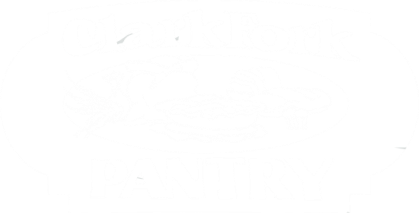 We also stock certain retail-packed products from Wheat Montana, including white and whole wheat flour, pancake mix, and flax seed, as these are more economical than repacked versions of these items. 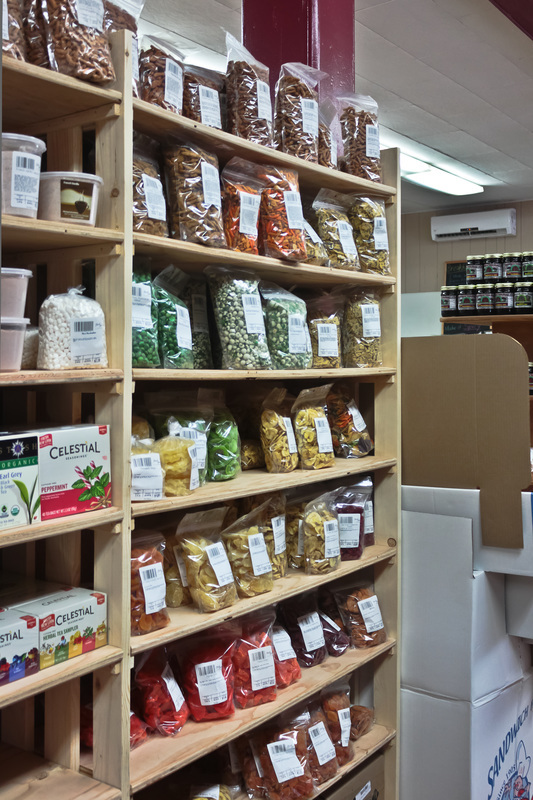 We offer a wide variety of spices and seasonings to enhance your cooking. These range from the more popular ones such as oregano and basil to lesser-known ones such as tomato flakes and turmeric. 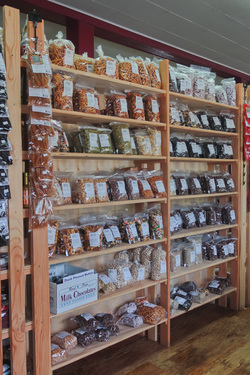 Our shelves hold many different bulk-packed snack options, including sesame sticks, trail mixes, and several kinds of pretzels. While these items are not made in-house, we always do our best to ensure that we only supply our customers with the finest products we can find. Our bulk-packed dried fruit selection includes such obvious choices as raisins, dates, and prunes, but it does not stop there. Oh, no, we have much more. Pineapple rings, papaya chunks, mango slices, kiwifruit pieces, strawberries, and even crystallized ginger will be among what you will find on our shelves. 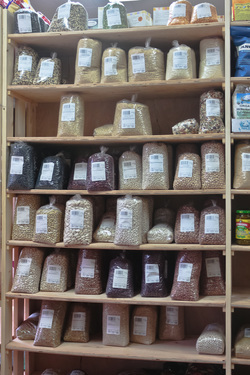 We offer a variety of dry beans and related products. These include more popular items such as pinto and kidney beans, and range to mayocoba and garbanzo beans. We also have pearled barley and split peas, which both make excellent soups.